Profile for Landscape Solutions New Zealand - Learn more about the business! Landscape Solutions first opened its doors in 1993. As positive momentum propels us into a third decade of operation, we remain true to our original values of an unrelenting focus on customer service. We are dedicated to creating great places throughout New Zealand. Based in Auckland, we meet the needs of New Zealand’s national ‘blue-chip’ client base. Our business systems and service models are safeguarded by a Third Party Accreditation to give you the security of a reliable partner who delivers dependable, superior outcomes. As a client of Landscape Solutions, you will benefit from our genuine commitment to your success and our desire to add value to your business through our landscape services. It’s what we believed in from the start – and why we are where we are today. "Historically the Local Board was fielding on average 10 phone calls a day from members of the public complaining about park maintenance. I was advised this morning that they have not had a single phone call or complaint for four weeks. The Local Board absolutely acknowledge the turnaround in maintenance standards and have shared that feedback with Council." "This positive feedback is a reflection of the hard work, leadership and commitment that you and your respective teams are putting in every day. We should all feel very proud of what we have collectively delivered over the past few months." "This is just a quick note to thank you and your ground staff for all the hard work they put into preparing pitches for our District Tournaments. All the feedback that we have had from these tournaments about the grounds has been very positive. I know that there will have been a huge amount of work done by groundstaff to ensure that everything was in great shape and we very much appreciate it." You’ll get a landscape service from people who are focused on your success. Identifiable, ready-to-go and performance-aligned with your company’s goals, standards and expectations. Our people take ownership of your assets and strive to create and deliver outcomes that benefit your business as much as ours. When it comes to Workplace Health and Safety, it’s reassuring to know that your business integrity and WHS standards are never compromised. There’s no higher priority than the safety of our people, our clients, the general public and the workplace environment that we preside over – our reputation depends on it. Best practice WHS is a vital part of our Integrated Management System and risk management strategy – it safeguards our operations and gives you peace of mind. Our peers voted Landscape Solutions Employer of the Year for our leadership and commitment to our people. Each year, our Development Team trains and mentors 60 apprentices as part of our People and Performance Program. The program includes the industry’s only in-house TAFE course and provides career guidance and opportunities for personal advancement. What do most great Auckland companies have in common? Great people and great customers. Your interests are managed by experienced staff who can meet your demands and know your business. Smart governance and innovative management drive Landscape Solutions, while dedicated staff deliver the services you require. As an environmentally responsible business you have a legal duty to meet general environmental protection obligations. Landscape Solutions takes that responsibility very seriously and are constantly seeking to identify and take advantage of new ways of working that will reduce our effect on the environment. Under our Environmental Management System your business will benefit from our principles of continuous improvement and innovation. We are dedicated to developing our management systems and working practices to conserve resources and minimise our impact on the New Zealand environment. We make every effort to ensure you receive services and results of the highest quality – quality you can depend on. 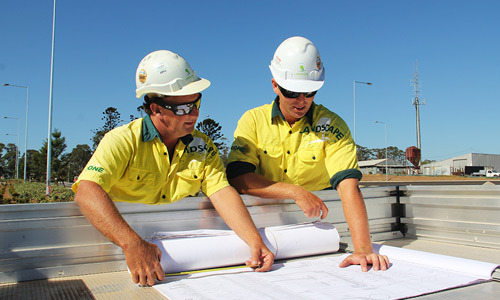 For Landscape Solutions, quality assurance means that we’re following the documented processes for successful service delivery – no surprises for you, just documented outcomes. Quality assurance is about confidence. A confidence you’ll enjoy knowing that Landscape Solutions is responsible for an ongoing program of quality assurance and improvement and for ensuring our staff and subcontractors understand their individual and collective responsibilities.